Photo ID of person registering the student. Proof of custody (if applicable). Proof of a physical examination within the last 12 months. Florida Certificate of Immunization (obtained from the County Health Department). Name and address of last school attended including any documentation obtained from them upon leaving. Copy of IEP (Special Education students). In addition to having all of your child's required documentation, school assignment in Florida is set up by choice and acceptance. So, many schools fill up quickly based on their location. It is important you start the process of school choice early and not wait until right before school starts. While this may not be possible depending upon when you plan move to SW Florida, it is important to understand the process ahead of time. Most Florida counties have Parent Information Centers and all have Student Assignment offices for information on the schools and each county's specific requirements for how students are assigned to their schools. In addition, each county has an easy to use website with lots of useful information. Then when you arrive, visit the PIC nearest you to register your child. The more you know, the better equipped you'll be to make smart school choices. Visit the schools, talk to the principal and teachers. Learn what each individual school offers. 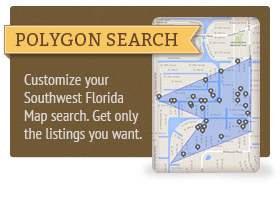 For a list of other county school district websites and phone numbers please visit www.MyFlorida.com. You'll have the opportunity to rank school choices on the Student Assignment application. Should you not follow this process, your child will be assigned a school by the district. While there are no bad schools, each school in the districts have their own unique character and individual programs that distinguish them from other schools. Visit the Student Assignment web pages for each individual school for information and specific answers to your questions. As with any area of the country, the public school districts offer many choices for helping to place your child within the public school system. However, you also have other options available to place your child in a school of your choice. All are overseen by their individual districts and must adhere to strict state guidelines of operation. Magnet Schools focus on academic achievement by using advanced teaching and technology techniques to augment their students learning experience. Charter Schools are learning institutions that offer varied educational programs to suit the individual student's needs. There are also other excellent private school choices available. These include both preparatory academies and religious based schools. If you are considering a private school for your child, www.FloridaSmart.com would be a good place to start gathering more information. The state of Florida has enacted two very important laws to help protect children. Both Acts have specific language as they relate to schools. For information, visit our Jessica's Law page. Lee County School Choice Program - Pro or Con? 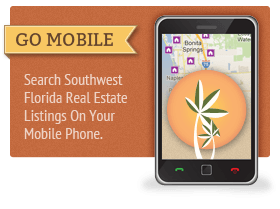 If you have additional questions or would like to get started on your search for SW Florida real estate and would like more information about schools, please don’t hesitate to contact us.